If you are looking at a variety of educational choices for your child, you might have questions about how to size up the level of rigor in the different schools you visit. Are you wondering what rigor looks like in an elementary school or how to assess a school that is very different from the one you attended as a child? While every school is unique, there are some basic differences between a very traditional approach to academic rigor and a more progressive approach. While you might want to inquire about a school’s test scores and consider when children learn to read and how much homework is assigned, you will also want to look for other indicators of a rigorous program. These indicators are best observed within the school and classroom environment, so when possible, visit the schools you are considering for your child. Below are some tips to help you evaluate what you see as you research school options. Most schools will employ a blend of traditional and progressive approaches to academic rigor. It will be up to you to decide on the best educational fit for your family. Are students expected to be in the driver’s seat of their own learning, or can they sit back and let the teacher do the driving? At a rigorous progressive school, you will see a good deal of student engagement. Students are expected to participate and reflect on what is being taught—to form their own opinions and ideas and to make connections on a regular basis. And, teachers are expected to promote engagement as a basis for deeper learning. In a more traditional school, you are apt to see teachers engaged in their lectures or lessons, while the students are listening. When questions are asked, students in this type of setting are expected to learn the material that is important for the grade or test. In a more progressive learning environment, students are expected to learn how to form conclusions about what is important through their own analysis. Are students expected to present to others frequently enough that they develop strong communication skills and a real sense of what it means to be well prepared? Are students pushing themselves hard to achieve or master something that stems from their own thinking, interests, and ideas? Are their ideas and opinions valued? A rigorous progressive school will offer meaningful opportunities for students to communicate their ideas, exercise leadership skills, and make some choices in their work. Individual voice and self-expression are prioritized because they lead to engagement, which drives deep learning. Are teachers excited about their teaching and their subject matter? Are teachers encouraged to innovate and extend their own learning? Children will be motivated to stretch themselves in a contagiously engaging atmosphere in which teachers are demonstrating a love of learning themselves. Another clue to identifying rigor in a progressive school is in the kinds of questions being asked and who is asking them. Listen to the kinds of questions teachers are asking. In addition to questions with straightforward factual responses, are there questions requiring students to analyze, hypothesize, and/or synthesize? Even the very youngest children should be asked questions that develop higher-level thinking skills. Listen to the students’ questions and comments. Do the students sound articulate and thoughtful? Do the students seem highly engaged in the discussion? Perhaps most importantly, are the students generating their own questions? Answers that lead to more questions are a sign of academic rigor. These kinds of exchanges are signs of an intellectually rigorous environment and should be common in a school that encourages active learning and develops critical thinking skills in students. Are the students being told how to solve problems or are they being given a chance to explore a problem and then discover an effective solution? The balance of inductive and deductive reasoning is different in a progressive school. Traditional teaching uses a deductive approach more often than an inductive approach. 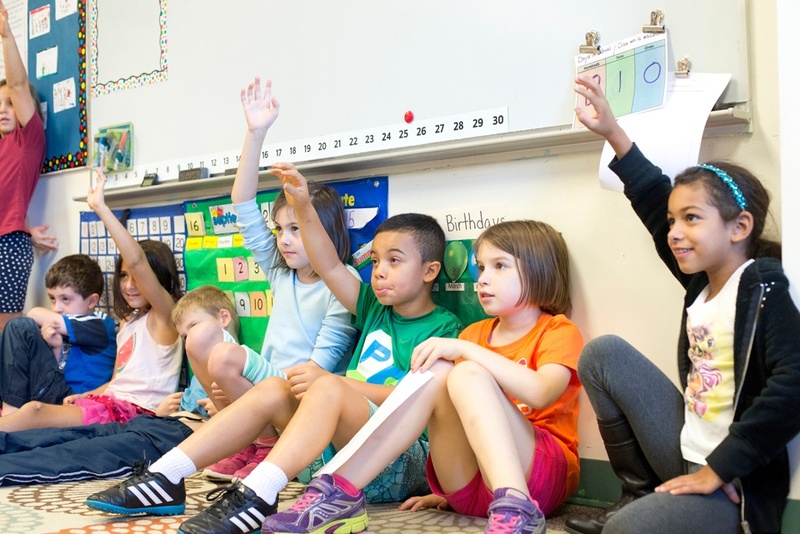 At a rigorous progressive school, students are given many opportunities to use inductive reasoning to work out generalizations from specific explorations. Inductive reasoning can be used in a variety of learning scenarios, from resolving a social conflict to finding the answer to a math problem. For example, the traditional approach to teaching students how to multiply fractions is to have them memorize the following rule: “Multiply the tops (numerators) and multiply the bottoms (denominators).” This is relatively easy to do and easy to remember. A progressive approach places importance on having the students understand the concept of multiplying fractions first. Once the students grasp what is happening when fractions are multiplied, they learn the rule that helps them quickly determine the answer, and then they move onto new concepts and calculations. 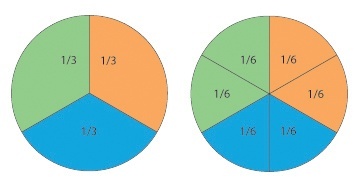 If the problem is 1/2 x 1/3 = ?, students might begin by making a visual model of a whole divided into thirds. To understand what 1/2 of 1/3 is, the student needs to be able to convert 1/3 into an equivalent and, in this case, more useful part of one whole, 2/6. Then, the student would take 1/2 of 2/6, which is 1/6. This kind of conceptual exploration leads to new questions such as Why is it that when you multiply simple fractions the answer is smaller? Is the answer always smaller when you multiply fractions? What about improper fractions? These questions signal the deep learning and curiosity that will lead to further mathematical exploration. Another way to spot progressive rigor is to look at what is hanging on the walls and what the students are working on as you move through the building. Does the work displayed show the application of skills? Does the work involve independent thinking and creativity? Does the work show immersion in a particular subject area? Is the library a hub of excitement for reading and books? Do students do a lot of voluntary reading? Listen to exchanges between the librarian and a student making a book selection. Do the children know themselves as readers and offer preferences? Does the librarian offer selections that feed their preferences as well as expand their reading? A progressive school helps challenge students through their individual reading interests and values the time spent reading books of choice. What is the purpose, amount, and type of homework given at different grade levels? Rigor in a progressive school is less about amount and more about what is relevant and developmentally appropriate for children of different ages. When you ask about homework, try to determine if the school values the unstructured time children spend at home. 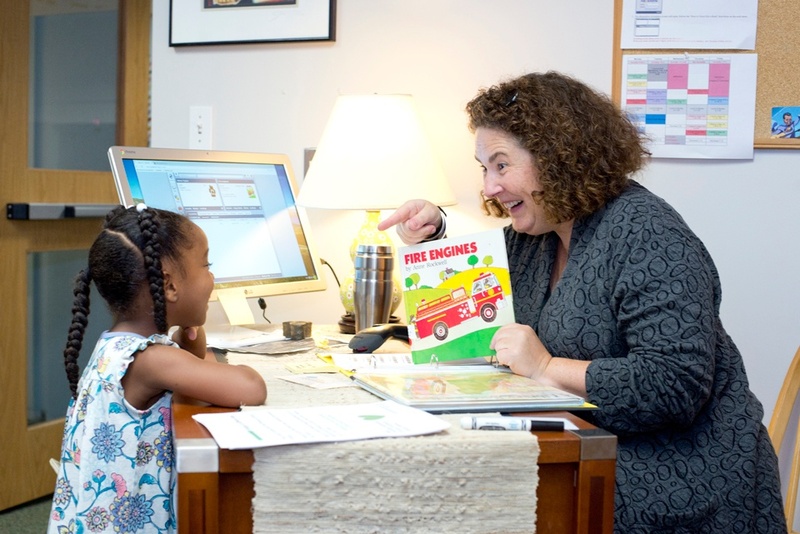 A progressive school will value a child’s self-initiated pursuits like playing, making music, or reading for pleasure. Having the time and space to ponder, ruminate, and develop one’s sense of internal motivation leads to independent thinking. If students have so much homework that they can’t complete it and pursue outside interests, or relax and have some down time, then the homework, while perhaps appearing rigorous, is often experienced as oppressive and discouraging, rather than purposeful. Is there a commitment and a clear path for helping students develop cultural competency? At the heart of progressive education is the desire to help children grow into informed and empathetic citizens who have strong critical thinking skills. Are multiple perspectives presented, explored, and valued? Expanding one’s thinking to analyze and synthesize multiple perspectives is a highly rigorous activity. To do so, students must think flexibly and consider the possibility that there is more than one right answer. Does the school respond to events happening beyond its walls? Our world is a complicated one. A progressive school does not shy away from helping students to understand it in age-appropriate ways. Are students asked to connect events of the past with current events? Drawing on relevant subject matter is a cornerstone of progressive education and asking students to connect past and present requires rigorous critical thinking. Does the school help students become advocates for themselves and others? Is social justice and equity studied, discussed, and practiced? Practicing advocacy helps students gain insight into human behavior. It also demands strong communication skills, which are developed in a participatory learning environment. Does the school have high expectations for every child? Does the school scaffold learning so that every child is encouraged and supported to do their very best? If rigor causes some to feel inadequate while others feel superior, then it is not progressive. Is the approach to learning layered and enriched? Notice whether children have time to work in small groups or one-on-one with the teacher, in addition to being involved in full-class activities. Find out if the school offers art, music, dance, and physical education classes and how often the children go each week. Inquire, too, if there are opportunities for students to connect what they are learning in these classes to elements of the core curriculum. Frequent field trips are another important component of an enriched curriculum, as they broaden the learning environment. Do the adults in the building seem to know the kids and interact informally around shared interests? In a progressive school there are often warm and comfortable relationships between individual students and adults. When students converse with adults, as well as peers, in informal ways, the level of discourse is often more rigorous. Adults can guide students to further explore their interests in a natural and self-motivated fashion. 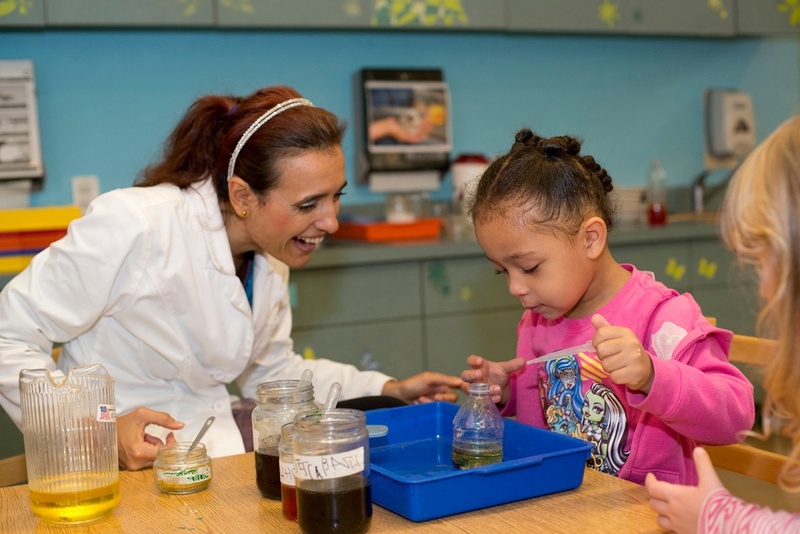 Relationships between students and teachers who share common interests have long been catalysts for careers and a lifetime of learning in a particular area.